iShares Russell 2000 ETF (the Fund) is an exchange-traded fund. The Fund seeks investment results that correspond generally to the price and yield performance of the Russell 2000 Index (the Index). The Index is a float-adjusted capitalization weighted index that measures the performance of the small-capitalization sector of the United States equity market and includes securities issued by the approximately 2,000 smallest issuers in the Russell 3000 Index. The Fund invests in a representative sample of securities included in the Index that collectively has an investment profile similar to the Index. The Index is a subset of the Russell 3000 Index, and serves as the underlying index for the Russell 2000 Growth and Value Index series. Component companies are adjusted for available float and must meet objective criteria for inclusion to the Index. The Fund's investment adviser is BlackRock Fund Advisors (BFA). Sign-up to receive the latest news and ratings for IWM and its competitors with MarketBeat's FREE daily newsletter. What is iShares Russell 2000 ETF's stock symbol? iShares Russell 2000 ETF trades on the New York Stock Exchange (NYSE)ARCA under the ticker symbol "IWM." How often does iShares Russell 2000 ETF pay dividends? What is the dividend yield for iShares Russell 2000 ETF? iShares Russell 2000 ETF announced a quarterly dividend on Wednesday, March 20th. Shareholders of record on Thursday, March 21st will be paid a dividend of $0.4121 per share on Tuesday, March 26th. This represents a $1.65 annualized dividend and a yield of 1.06%. The ex-dividend date is Wednesday, March 20th. View iShares Russell 2000 ETF's Dividend History. Has iShares Russell 2000 ETF been receiving favorable news coverage? News coverage about IWM stock has been trending somewhat positive recently, InfoTrie Sentiment reports. The research firm identifies positive and negative press coverage by monitoring more than six thousand news and blog sources. The firm ranks coverage of public companies on a scale of negative five to positive five, with scores nearest to five being the most favorable. iShares Russell 2000 ETF earned a news impact score of 1.5 on InfoTrie's scale. They also assigned news headlines about the exchange traded fund a news buzz of 1.0 out of 10, meaning that recent press coverage is extremely unlikely to have an impact on the company's share price in the immediate future. Are investors shorting iShares Russell 2000 ETF? iShares Russell 2000 ETF saw a decline in short interest during the month of March. As of March 29th, there was short interest totalling 72,536,293 shares, a decline of 4.7% from the March 15th total of 76,111,891 shares. Based on an average trading volume of 26,412,700 shares, the short-interest ratio is currently 2.7 days. View iShares Russell 2000 ETF's Current Options Chain. What other stocks do shareholders of iShares Russell 2000 ETF own? Based on aggregate information from My MarketBeat watchlists, some companies that other iShares Russell 2000 ETF investors own include SPDR S&P 500 ETF Trust (SPY), Invesco QQQ Trust (QQQ), NVIDIA (NVDA), Alibaba Group (BABA), Netflix (NFLX), iShares 20+ Year Treasury Bond ETF (TLT), Bank of America (BAC), Tesla (TSLA), Walt Disney (DIS) and Boeing (BA). Who are iShares Russell 2000 ETF's key executives? Who are iShares Russell 2000 ETF's major shareholders? iShares Russell 2000 ETF's stock is owned by many different of institutional and retail investors. Top institutional investors include TIAA FSB (0.31%), Arvest Bank Trust Division (0.18%), Aperimus Capital LLC (0.14%), Accredited Investors Inc. (0.10%), Foundations Investment Advisors LLC (0.10%) and First Financial Bank Trust Division (0.08%). Which institutional investors are selling iShares Russell 2000 ETF stock? 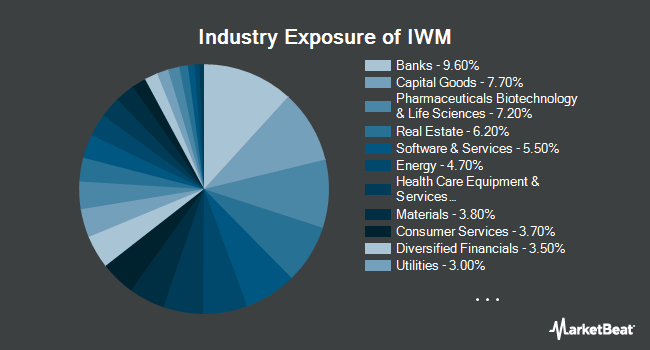 IWM stock was sold by a variety of institutional investors in the last quarter, including Massey Quick Simon & CO. LLC, BTIM Corp., Riverbridge Partners LLC, Huntington National Bank, Country Trust Bank, Fluent Financial LLC, TIAA FSB and Aperimus Capital LLC. Which institutional investors are buying iShares Russell 2000 ETF stock? 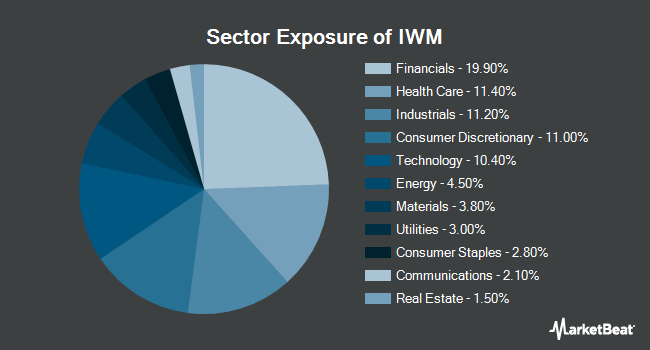 IWM stock was purchased by a variety of institutional investors in the last quarter, including Foundations Investment Advisors LLC, Selz Capital LLC, First Financial Bank Trust Division, Howard Capital Management Inc., Personal Wealth Partners, Calamos Advisors LLC, CX Institutional and Arvest Bank Trust Division. How do I buy shares of iShares Russell 2000 ETF? 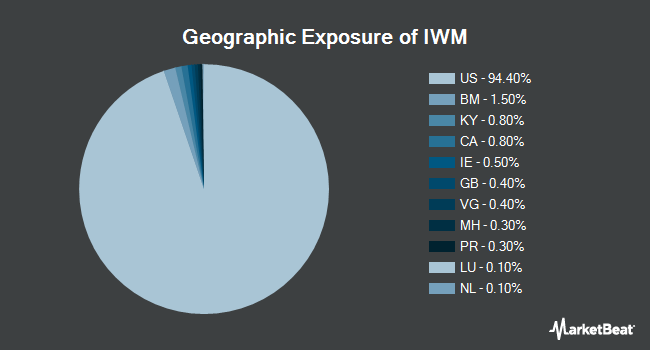 Shares of IWM can be purchased through any online brokerage account. Popular online brokerages with access to the U.S. stock market include Vanguard Brokerage Services, TD Ameritrade, E*TRADE, Scottrade, Fidelity and Charles Schwab. What is iShares Russell 2000 ETF's stock price today? 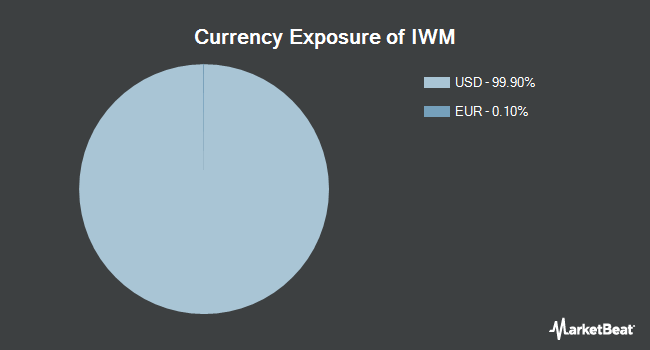 One share of IWM stock can currently be purchased for approximately $154.8575. How big of a company is iShares Russell 2000 ETF? iShares Russell 2000 ETF has a market capitalization of $43.08 billion. What is iShares Russell 2000 ETF's official website? The official website for iShares Russell 2000 ETF is http://www.iShares.com. How can I contact iShares Russell 2000 ETF? iShares Russell 2000 ETF's mailing address is 45 FREMONT STREET, SAN FRANCISCO, 94105, United States. The exchange traded fund can be reached via phone at +1-800-4742737. MarketBeat's community ratings are surveys of what our community members think about iShares Russell 2000 ETF and other stocks. Vote "Outperform" if you believe IWM will outperform the S&P 500 over the long term. Vote "Underperform" if you believe IWM will underperform the S&P 500 over the long term. You may vote once every thirty days.